1848 was the height of the Famine in Ireland, and to the general observer of the past there was no food to be had in Ireland. 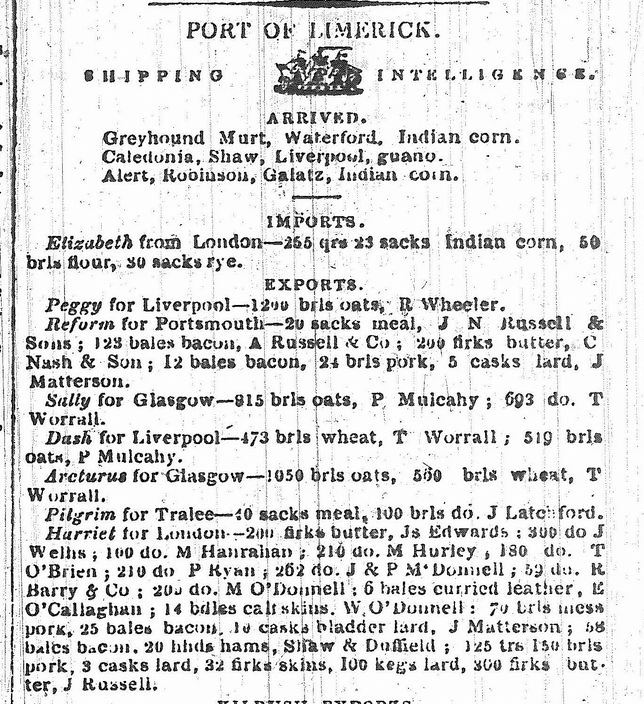 This was not the case though as the following list of imports and exports from the Limerick Quays in December 1848 show. There was plenty of food in Ireland, but it was being exported on a large scale. This might raise the question, “Why were they exporting so much food when such a large portion of the population were starving to death?” The simple answer is that these companies realised that it was more economically viable to export the goods in sales rather than keep in the country. The more accurate answer would take much more than a short post on a history blog, it would take more like an entire thesis to analyse the plethora of reasons why companies conducted their business the way they did during these times. On the flip side there was a large import of Indian Corn (also known as Maize), which was used to feed the Irish. Indian Corn, in the first week of February 1848, was received by almost 445,500 Irish people in the form of outdoor relief. Indian Corn did stave of some of the hunger but it brought with it a series of problems, such as being difficult to cook and hard to digest which caused diarrhea. Also, because of the lack of vitamin C it caused many cases of scurvy. Another import was Guano, which was a fertilizer made from the excrement of sea birds and bats found primarily on islands on the coast of Peru. NextTo Buenos Aires or Bust! 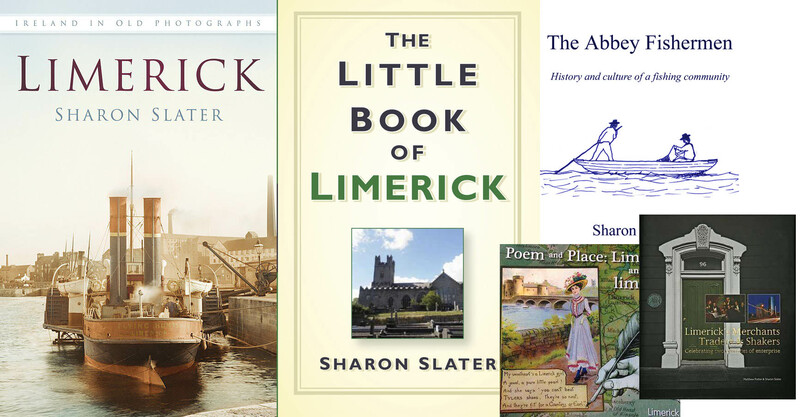 In 1889, 437 Limerick citizens travelled across the world, this is their story.